It can’t be easy establishing a brand, and a marketplace, for a product that is not only illegal in many countries, but also banned from traditional marketing channels. Yet, Namaste Technologies has done exactly this, becoming the world’s biggest cannabis-focused ecommerce platform with 32 sites in 20 countries. The company now has over 600,000 monthly visits to its sites, and a database of 1.5 million users. And it has done this using content, communities and personalisation rather than typical marketing tactics. Offering everything from rolling papers to vaporisers, the company aims to be at the forefront of innovation in the medicinal cannabinoids sector, and has pioneered technology such as thermal desorption-gas chromatography mass spectrometry. In 2018, Namaste reached a US$1 billion market cap, four years after going public. More recently, Namaste has made significant investments in artificial intelligence (AI) technology and machine learning platforms in order to better personalise for customers, and is also constantly innovating when it comes to marketing, given the ongoing challenges it faces. Namaste vice-president of strategic operations, Darren Gill, told CMO one of the biggest issues has been that it has been banned from all traditional marketing channels, like pay per click, google ads and influencers. “We have had to instead focus on building communities, content, and organic SCO. This has pushed our teams to get even more creative in our approach to marketing,” he explained. “Our first approach to marketing has been to create original content. One of the interesting challenges in the cannabis space has been most of the information available on the product we consume has been either in medical channels or on the black market. “Our team of content writers work to gather as much information as possible and create original works for our sites." Another way the group is facilitating this is via partnerships. Since legalisation, there is no shortage of companies developing marketing materials for cannabis, so Namaste has been working to engage companies developing educational content for our customer to consume. “We have also had our marketing team very focused on building a community feel to our sites, so people actually enjoy reading the content we have, and can participate through things like blogs, reviews, and discussion forums," Gill said. “The main focus is on developing it in-house, so we have original content relevant to our sites. This not only keeps SEO higher, but helps set us apart from the rest. We form partnerships when it’s needed for things like medical reviews or journals as we cannot be publishing those in house. Along with this approach to marketing, is a focus on customer personalisation using AI and machine learning. The main issue we have had been trying to solve is taking the massive amount of choices a consumer has and helping them narrow down to products that are relevant to them, Gill said. 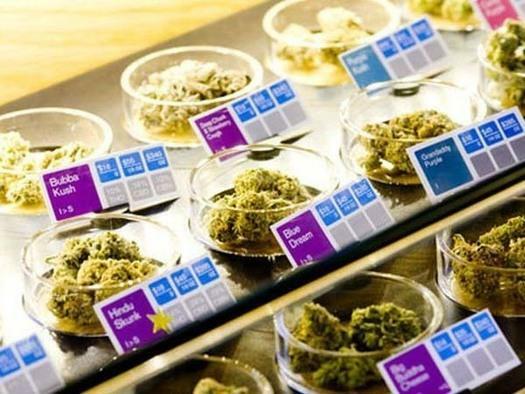 To do this, Namaste has paired its AI system with consumer data and feedback through an app called Uppy that allows consumers to report their own experience with cannabis and what worked well and what did not, Gill explained. “We can take this data through our AI system, and based on consumer preferences and symptoms, we can recommend the based product based on peer review, and what devices work best to consume the product," he said. “The amount of accurate data available to medical patients has been limited, so this was our way of building a community that would share experiences that we can use to service the industry. We also wanted to have something we could seamlessly integrate into our systems." Since doing this, the company has chalked up month-on- month growth. It's also maintained marketshare in markets where it was already leading. "Namaste Technologies is focusing a lot more on engagement and content than pay per click,” Gill added. Listed on the TSX Venture Exchange and headquartered in Vancouver, Canada, Namaste aims to be a global leader in the sale of all elements of medical cannabis consumption and aspires to become the world’s ‘one stop shop’ of the industry.